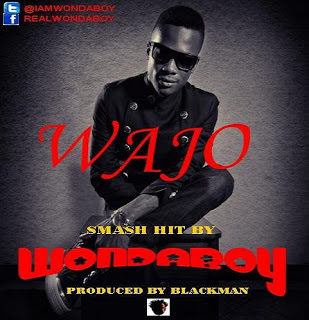 For those who are still unfamiliar with who Wondaboy is, he is an upcoming Afro-R&B artist out of Nigeria. Wondaboy was featured on Kenyan group Camp Mullas' single ‘oH mA gAd’ and released his debut single ‘Before Then’ earlier this year, featuring one of Ghana's finest Sarkodie. Now with a new single ‘Wajo’ - which simply means "come and dance", Wondaboy delivers with an extremely catchy hook on the track produced by Nairobi's Blackman. A lot is still to come from Wondaboy throughout the year including more features, hit tracks and exciting music videos.